This Drexler daughter was a powerhouse from the day she arrived. Makita has never failed to perform or entertain us with her antics. Even at 7 years old, she is very much a clown! 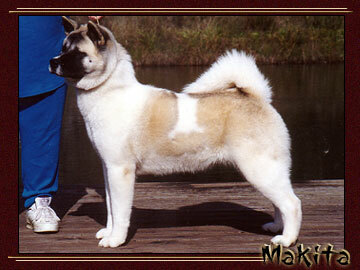 Makita finished her championship easily by 16 months of age and with multiple BOB and BOS wins. She exemplifies beautiful type and soundness. Her first two litters, although small, produced Ch Yakedo's Little White Lie, "Delilah", Ch Yakedo's Don't Rain On My Parade, "Storm" and Ch Yakedo's Scotch On The Rocks, "JB". Her final litter, only twelve weeks old now and sired by Ch Dream Hi's This I Promise You, should easily attain Makita her Register of Merit Title. 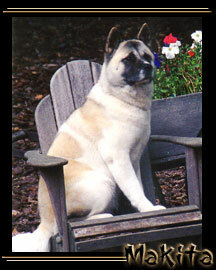 Makita's Pedigree and General Information can be found below. This information is provided for your convenience.